There are a lot of reasons to love dandelions, despite the fact they often get a bad reputation. They are one of my favorite signs of spring and I really look forward to their pretty yellow flowers dotting my lawn. My kids can’t wait to make wishes as they blow the seed pods. Dandelions aren’t just for fun, they also are beneficial in the garden. They are dynamic accumulators, which means they draw up nutrients that are deep in the ground and make them available at the surface for other plants. 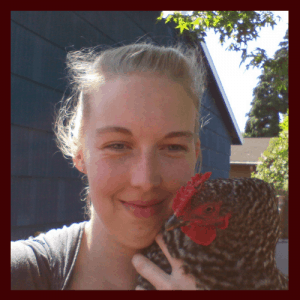 This also means they have fantastic nutritional benefits as well, in fact I try to drink a dandelion tea every morning to take advantage of some of their awesome benefits. 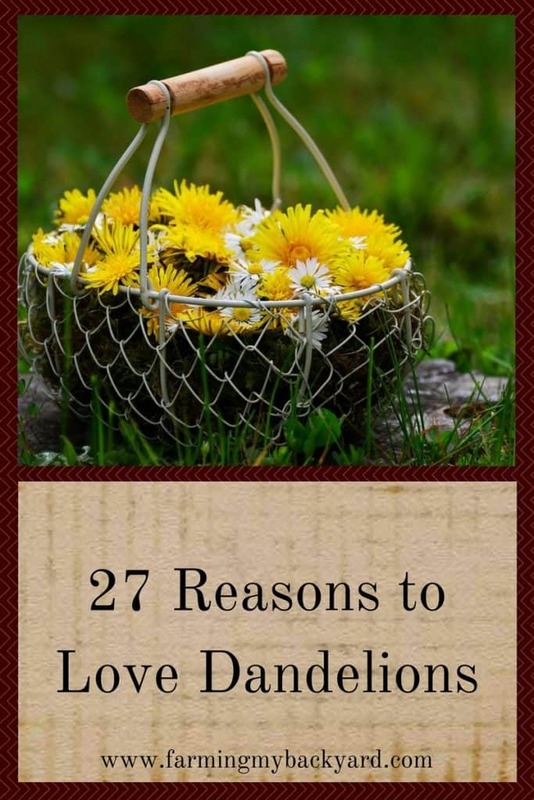 Just in case you need a little more convincing, here are 27 reasons to love dandelions. Thanks for sharing my post about dandelions and violets! 🙂 Have a wonderful week! I’ve made Dandelion Jelly for quite a few years now. It’s delicious! Tastes like honey and is a lovely translucent yellow. It requires a lot of work gathering the blossoms, but is totally worth it. Oh I totally should try that. Most of our blossoms have already gone to seed this year. Next spring! I was just outside picking some with my son and teaching him about foraging. Going to try cooking them now. Awesome! I hope they turned out well. How are these weirdos who dig out their dandelions! Free food is free food, y’all. I LOVE dandelions! they are so pretty and so valuable a healing herb (all parts: root, leaves, blossoms) and healthy food for humans and animals. when I was a kid, we would gather them and make long yellow garlands that we would hang over fences and gates or garage doors to decorate them (of course our floral creations didn’t last long as they wilt pretty quickly but, nevertheless, it was so much fun. And of course blowing them when they turned fluffy was always sooo much fun! Yes, my kids love blowing them the best, but they are so fun!